While overall a minor update, the latest build of Google Calendar for Android brings a long desired feature by users: Drag & Drop moving of events. The new feature is in version 5.7.29 and that update is now rolling out into the Play Store. Expect the update to hit your phones and tablets over the course of the next few days. With this new feature, when you are in any view except monthly, you can now tap & hold then move an event on your calendar to a new time or day. No more having to go into the event and manually edit the times or day. Once you have moved it, anyone who is associated with that event will automatically get an update emailed to them of the day and/or time change. make appointment changes. 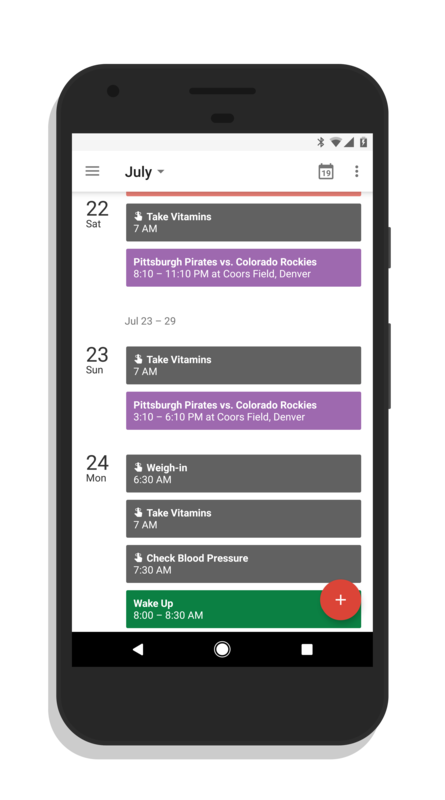 It is a feature that other calendaring apps have had for a long time and having it Google Calendar is certainly needed and, frankly, a bit of a catch-up feature. Along with this new feature, the update on Calendar is mostly about bug fixes and performance improvements in the app. The new update is rolling out now and should be hitting everyone’s device with the app installed over the course of the next few days.